Impact Award Honoree’s In 2017 Share Their Aftermarket Story. The Auto Care Association annually honors four aftermarket professionals, age 40 or younger, who have made remarkable contributions to the auto care industry. The Impact Award: Four for the Future, was created in 2010 and is administered by the Auto Care Association Marketing and Communications Committee. 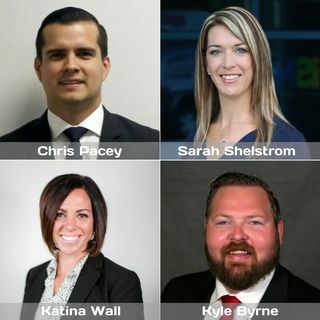 The 2017 award winners are Sarah Shelstrom from Integrated Supply Network, Katina Wall from STP at Spectrum Brands, Kyle Byrne ... See More from the Merrill Company and Chris Pacey from National Performance Warehouse. We talk about the impact of technology, the elephant in the room, insights, recruiting talent into the industry and the trends they see affecting the aftermarket.